The Dental Hygiene Centre is located in the beautiful Cathedral City of Chichester and is available for use by anyone requiring dental hygiene services, regardless of which dental practice they attend. The Dental Hygiene Centre is run by a highly experienced team of dental hygienists: Wendy Cassar, Helen Pickard and Jacquie Watts. Wendy qualified at 'Guys Hospital' in 1988, also gaining the 'Hu-Friedy' Scaling price for her year. Wendy continued as Staff Hygienist at Guys Hospital for a further 10 years, alongside working in general practice in Maidenhead. In 1993 Wendy married Paul Cassar and moved to Hampshire to bring up their three children. 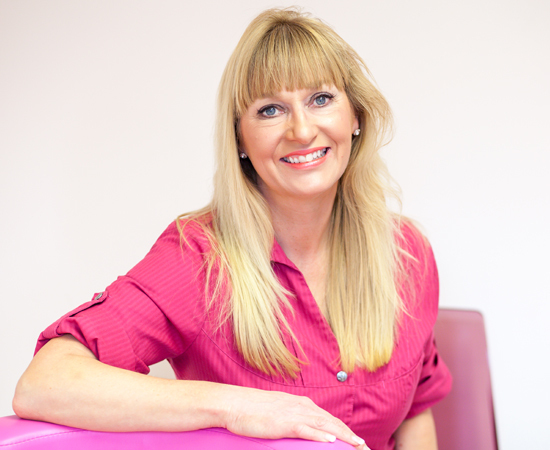 Wendy continued her career in General Practice in Liphook and at the Petersfield Orthodontic Centre. Wendy and Paul set up the Dental Hygiene Centre in Chichester in 2015. This is managed by Wendy and she also has clinical sessions. Since 2013 Wendy has travelled to the Ukraine once a year with a Church run Dental mission team, treating hundreds of people who have no access to dental services. Wendy enjoys keeping fit and has completed 3 marathons and various treks. She enjoys listening to music, especially Jazz. Helen qualified from the University of Bristol Dental hospital in 1987, gaining the prestigious award of the Tutors Prize. She has worked in general dental practice and alongside specialists for many years and has gained a wealth of experience. Helen joined the Grange Dental surgery in 1997. Helen regularly attends continuing professional educational courses and is always looking for ways to improve her skills. Apart from her time at The Dental Hygiene Centre, Helen enjoys a busy home life chasing after her delightful grandchildren. Jacquie joined the Women's Royal Naval Service at the age of 18 initially training as a Dental Nurse, before her Dental Hygienist training in Portsmouth. After qualifying in 1976 she worked in the Naval Dental Centres in the South West of the UK before accepting a teaching role at the Royal Naval Dental Training School. Jacquie then headed for sunnier climates in the shape of Hong Kong, a highlight of her career, not least because she met her future husband there. Portsmouth then called and once again Jacquie became involved in training, but this time teaching Dental Nurses for their chairside role. Jacquie then found herself attached to the Royal Army Dental Corps in Aldershot joining their Dental Hygiene training team. Jacquie spent the last 4 years of her Royal Naval Service at an RAF Station where the three services has their Tri Service Dental Headquarters. After this, Jacquie began working in general practice, in addition to working in this locally unique practice known as The Dental Hygiene Centre.